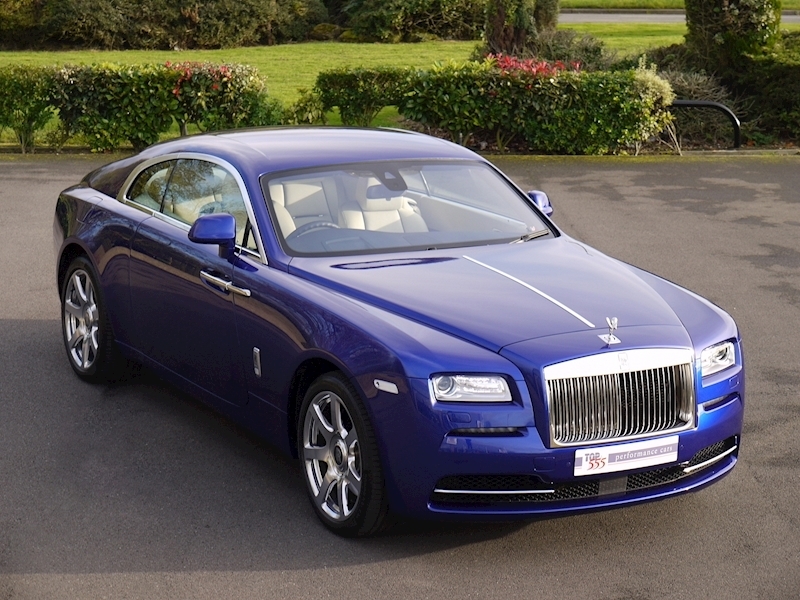 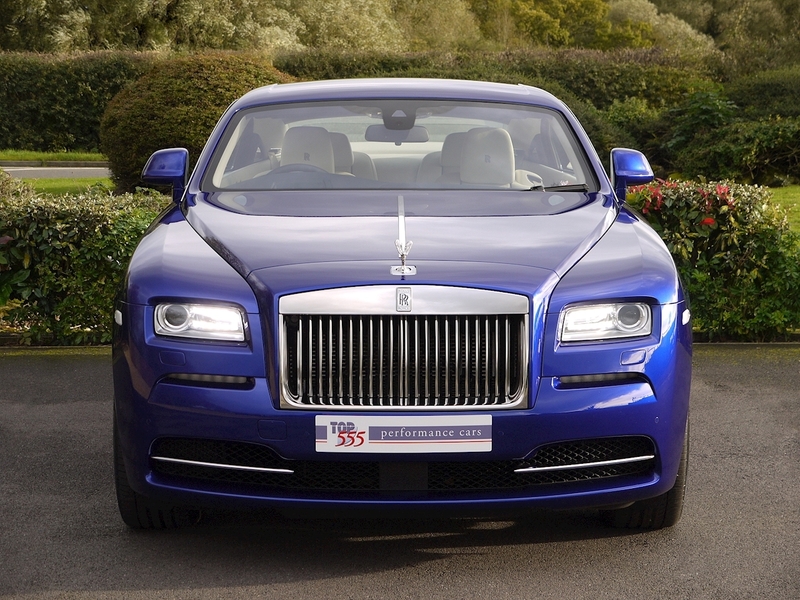 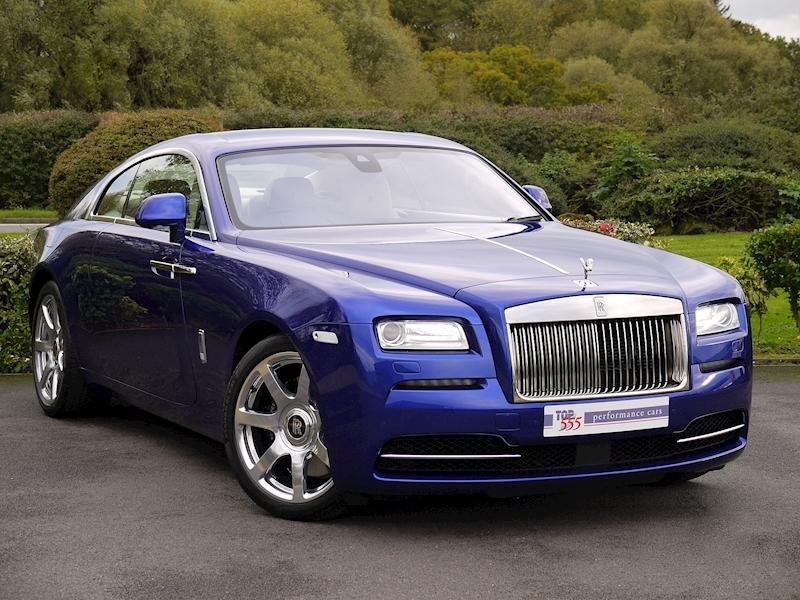 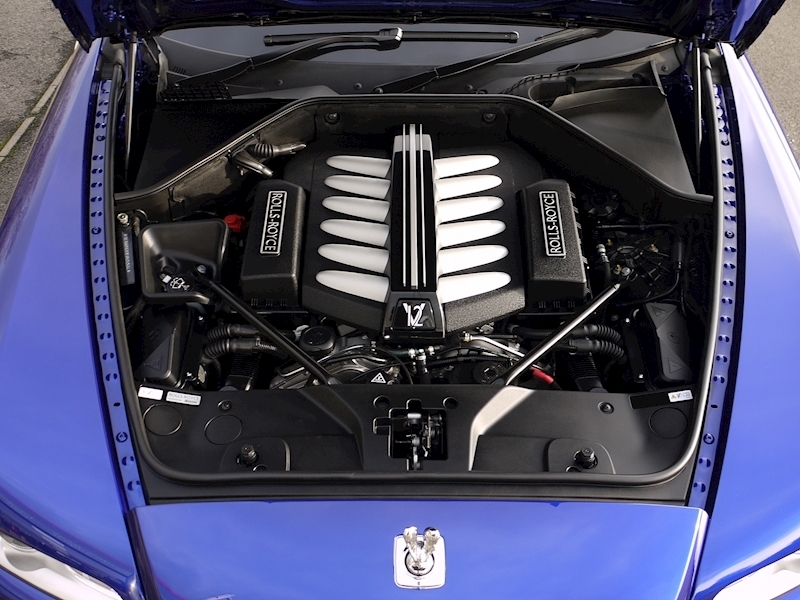 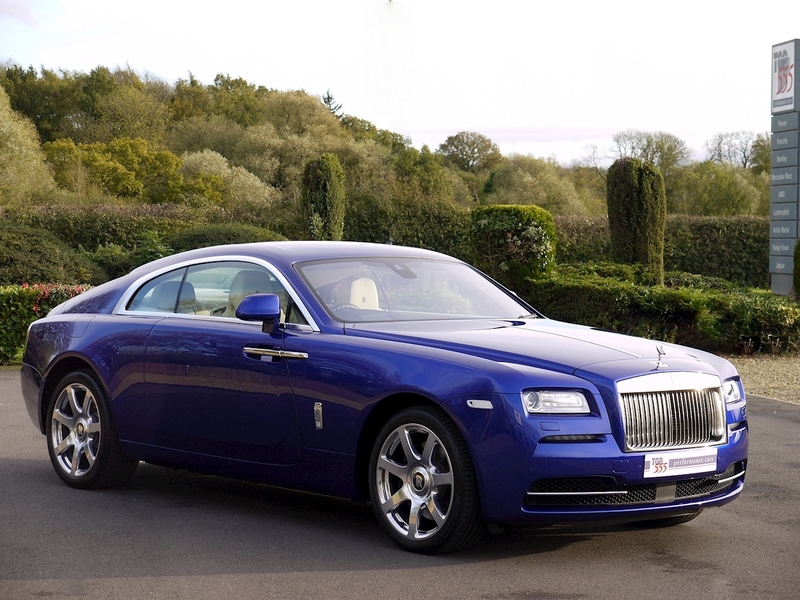 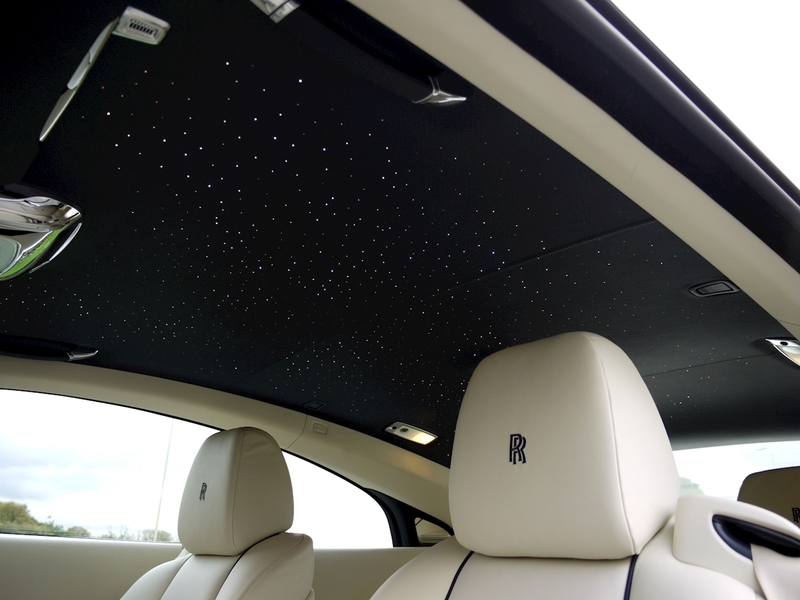 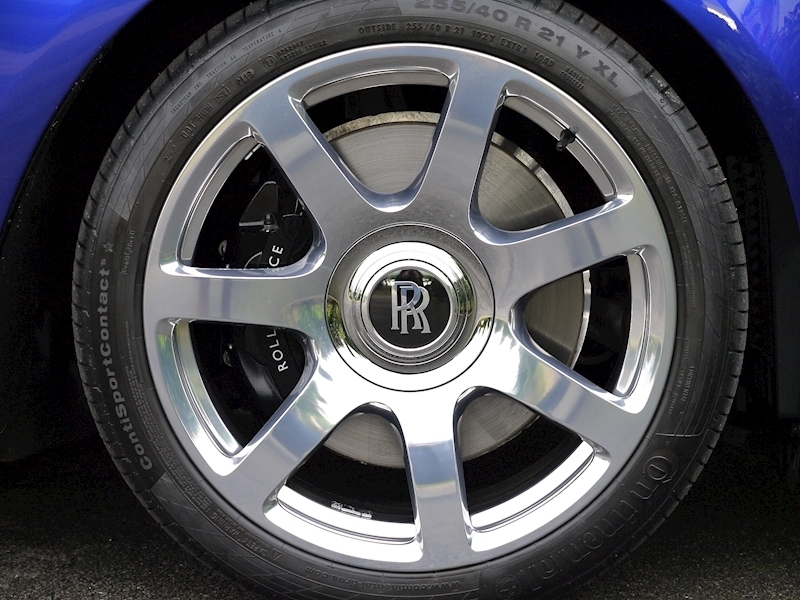 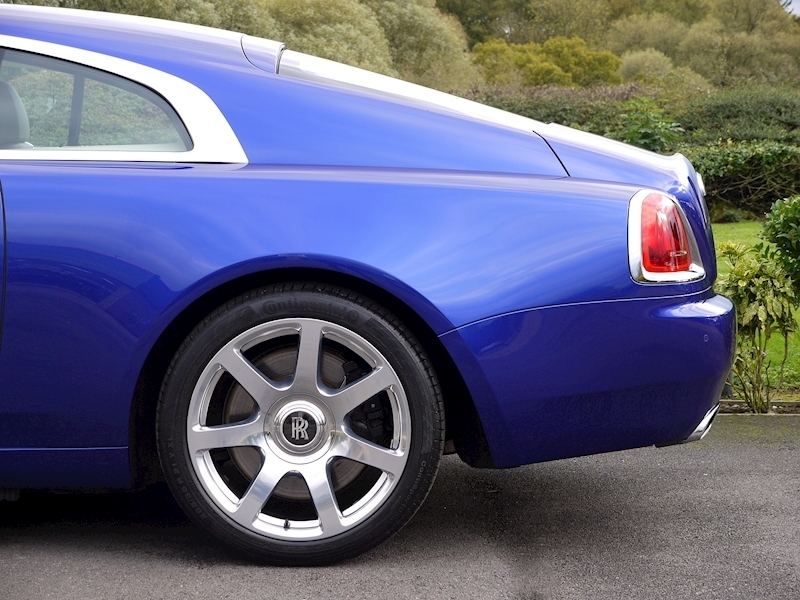 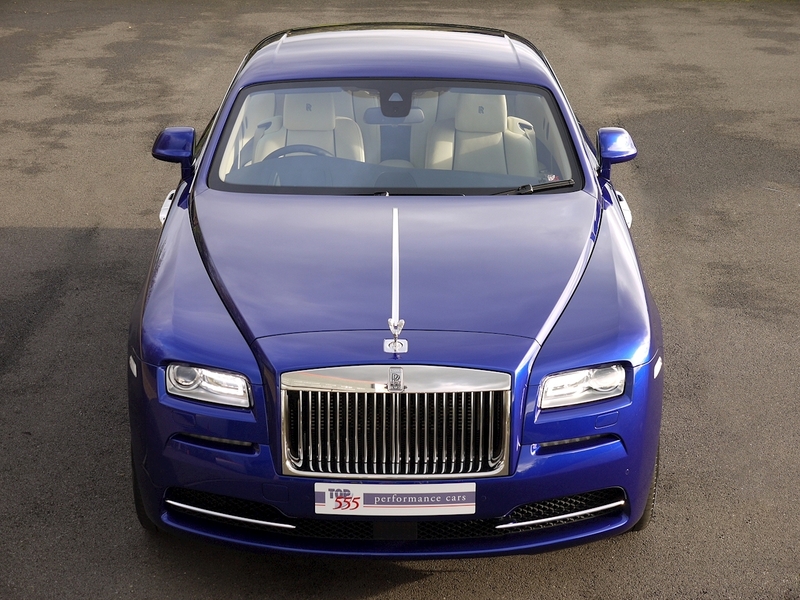 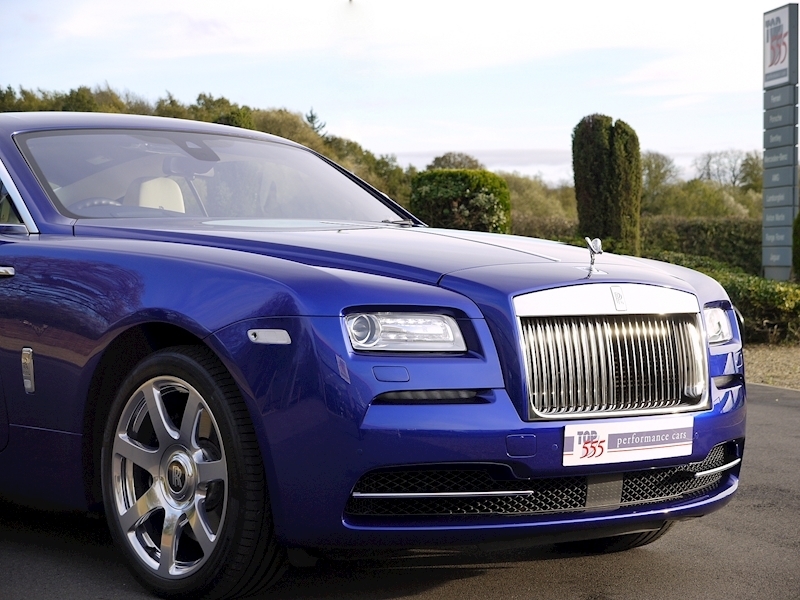 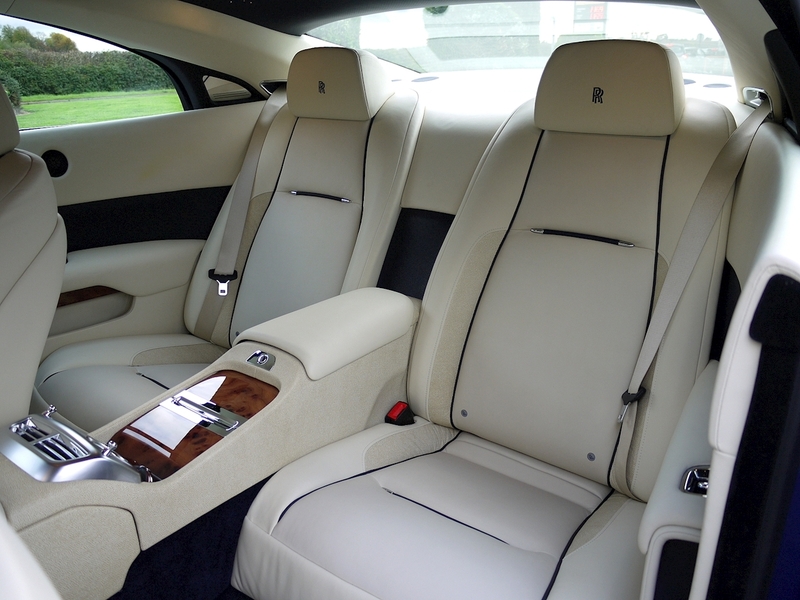 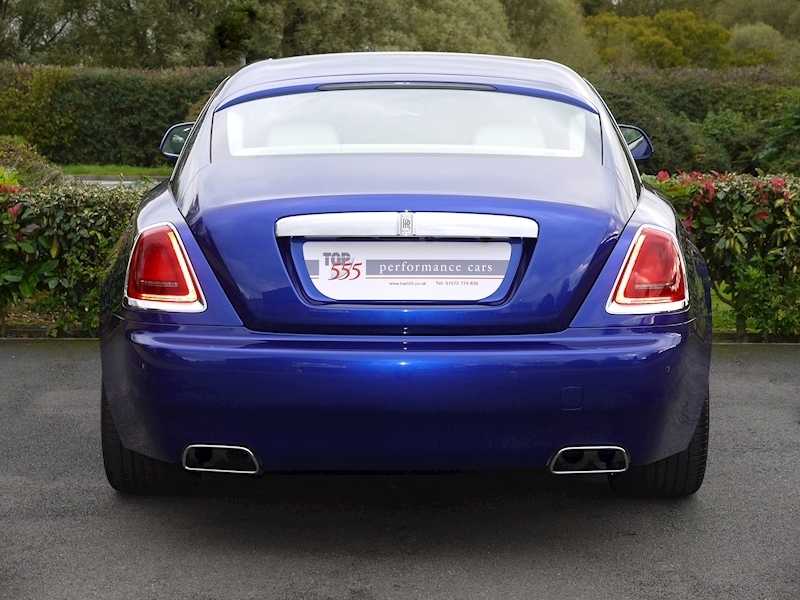 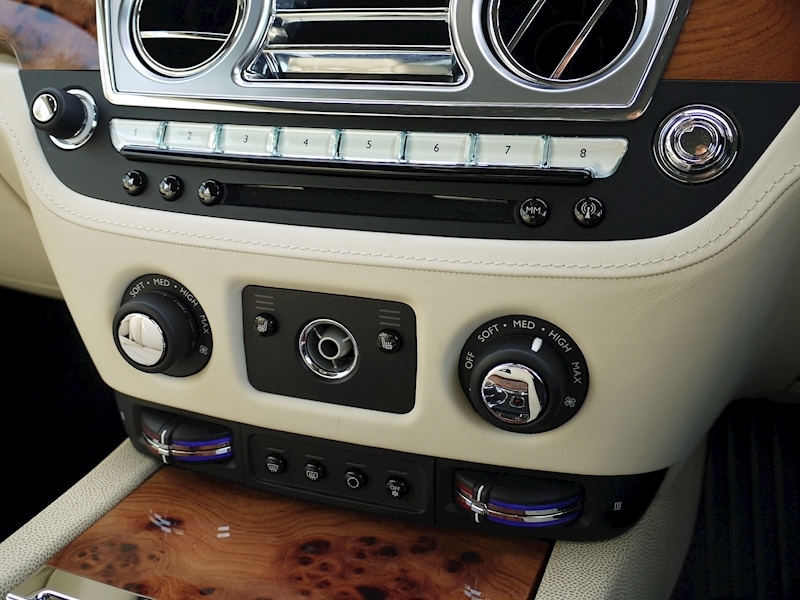 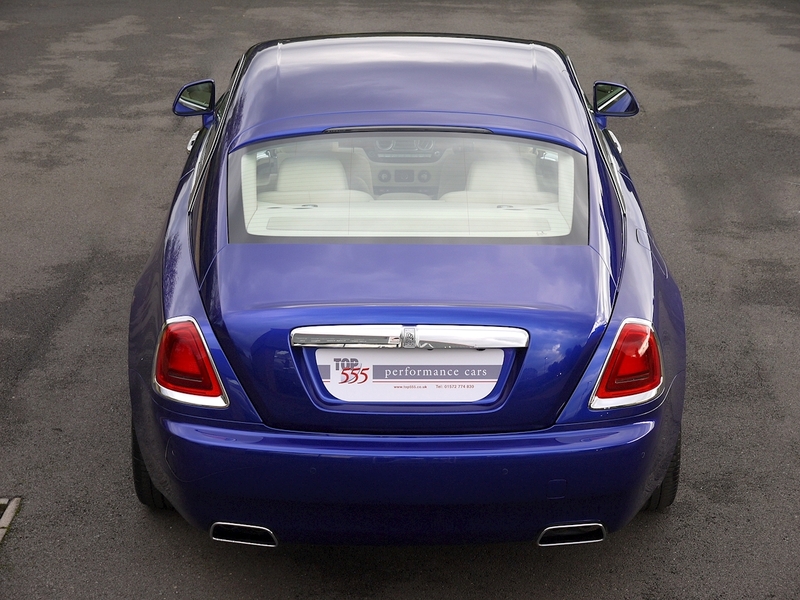 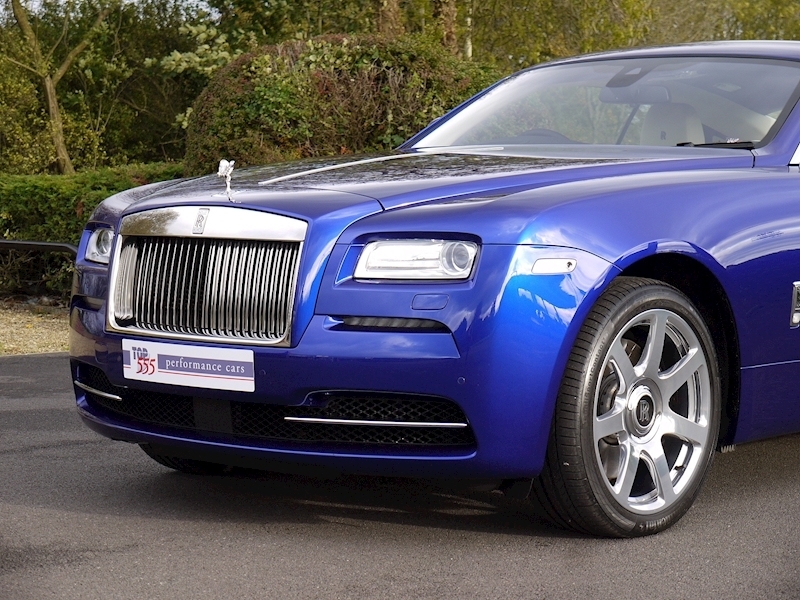 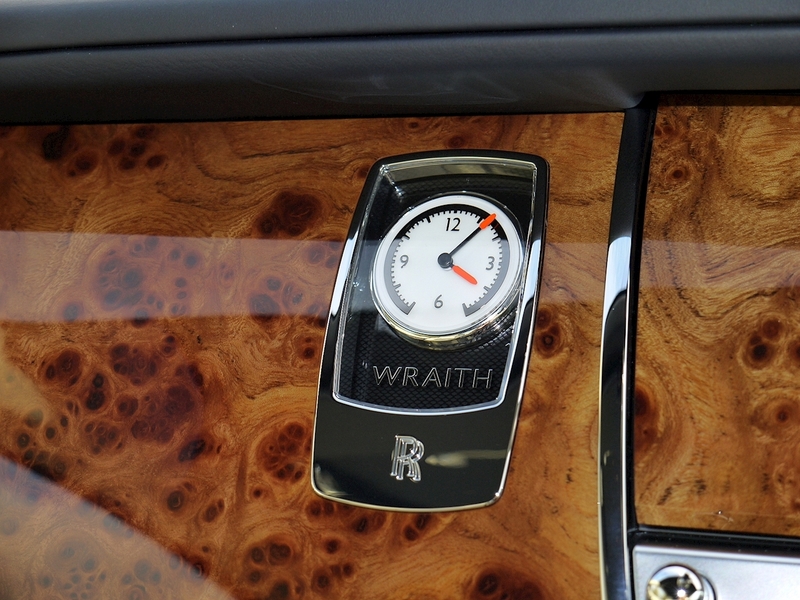 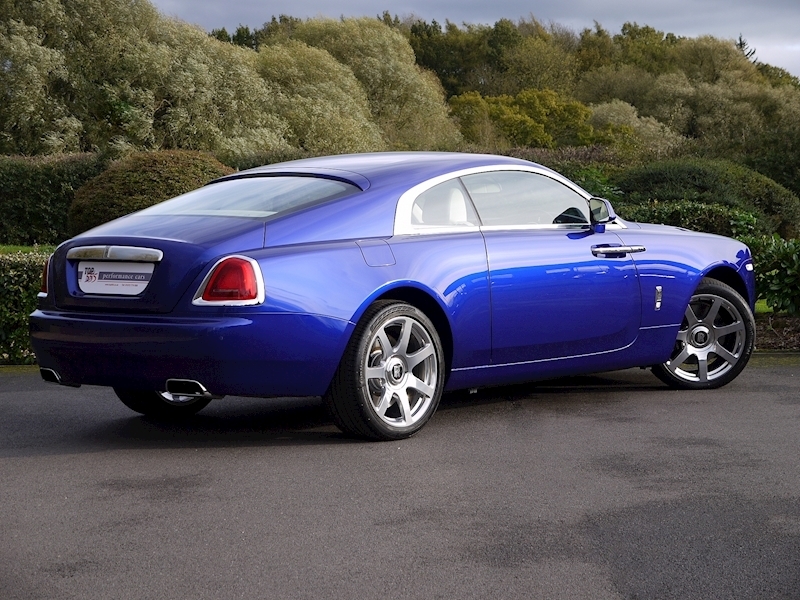 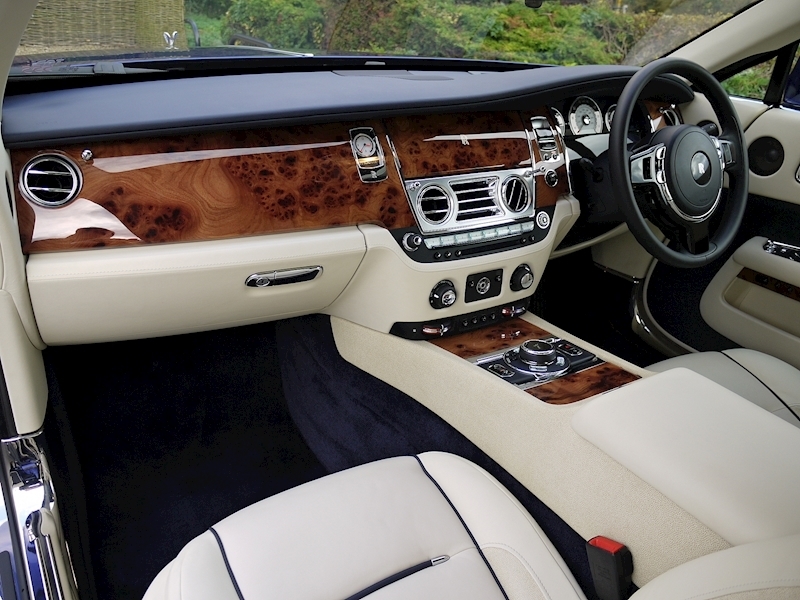 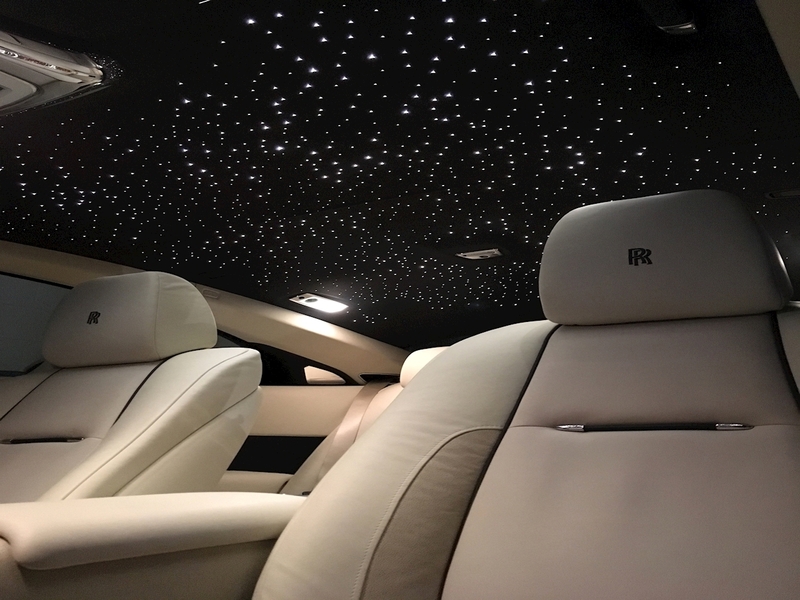 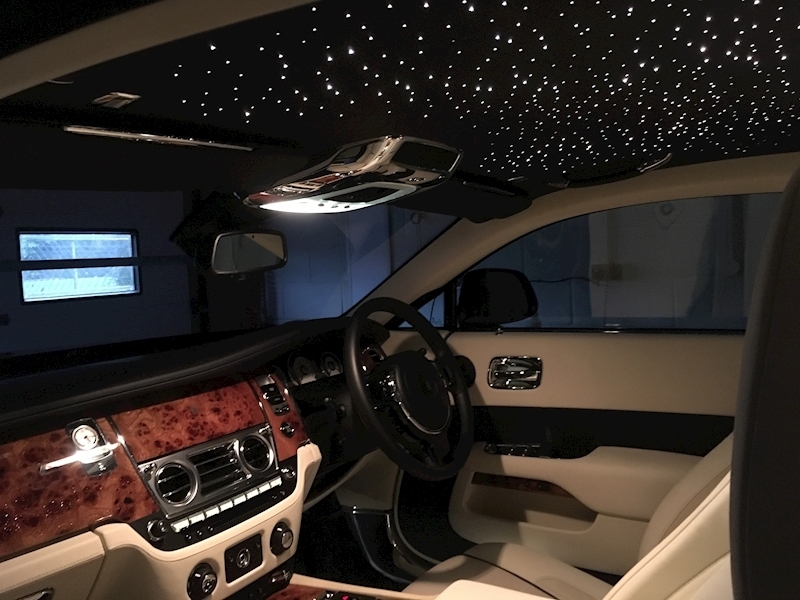 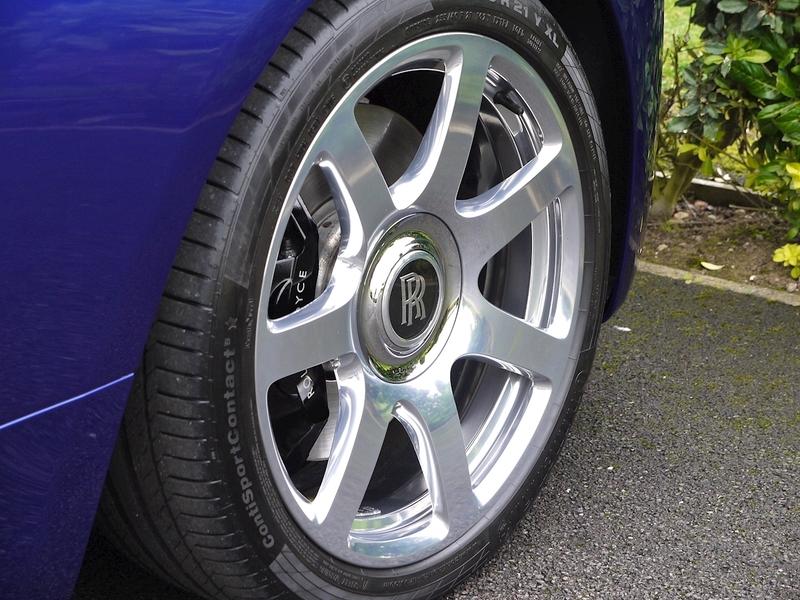 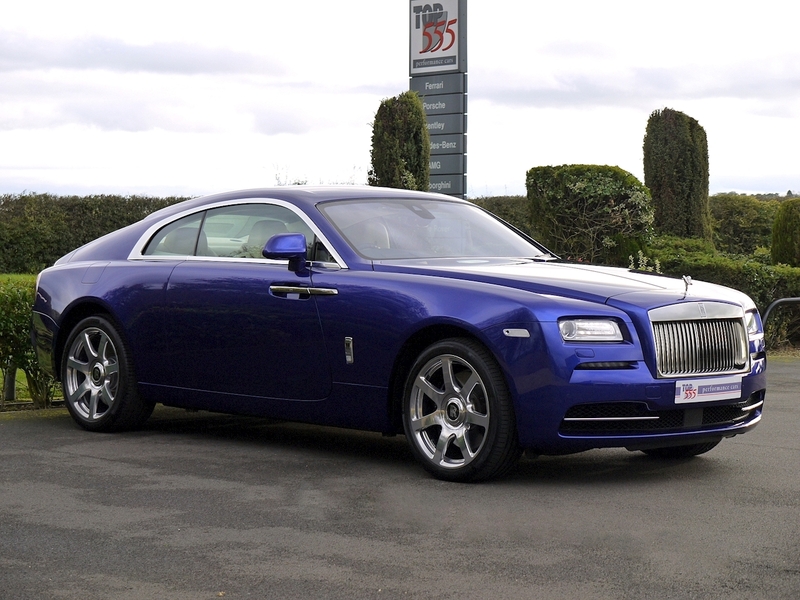 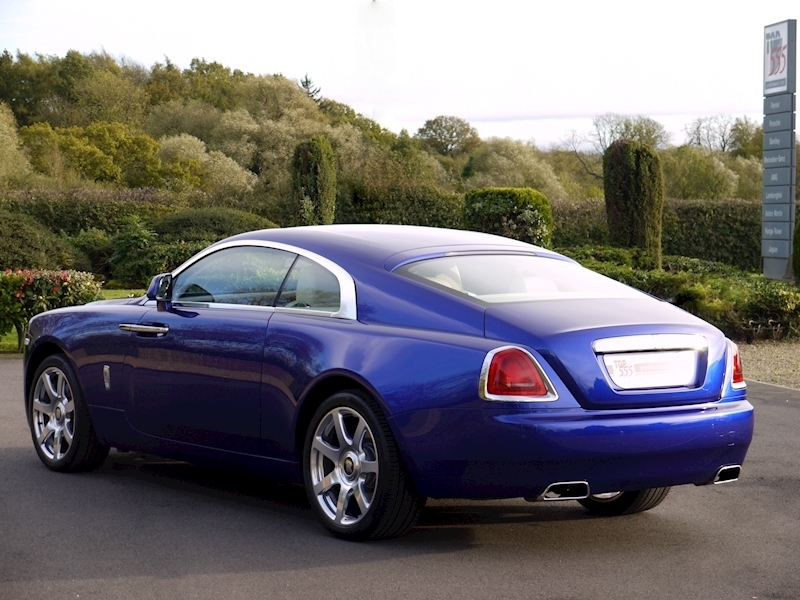 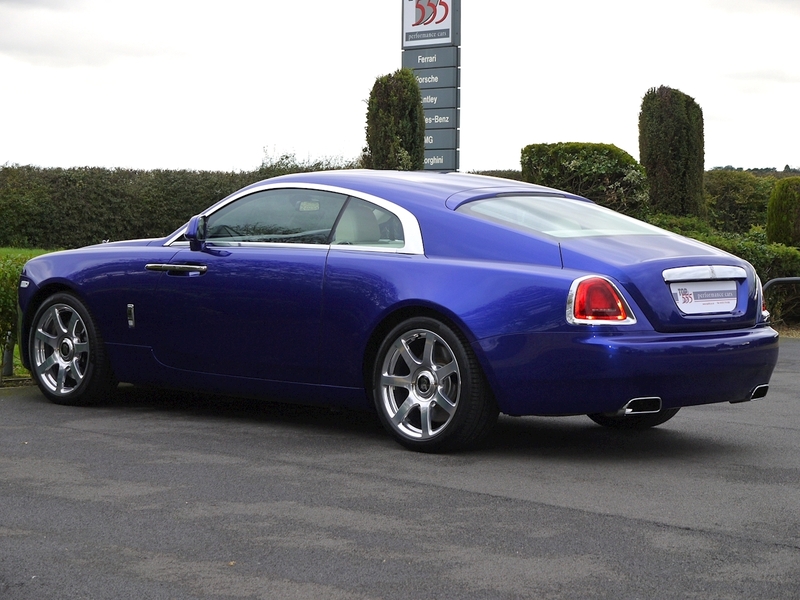 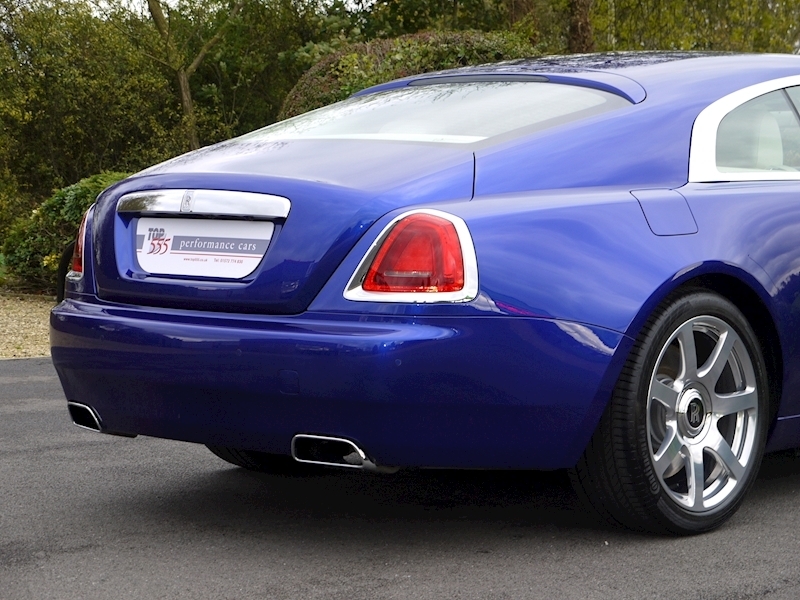 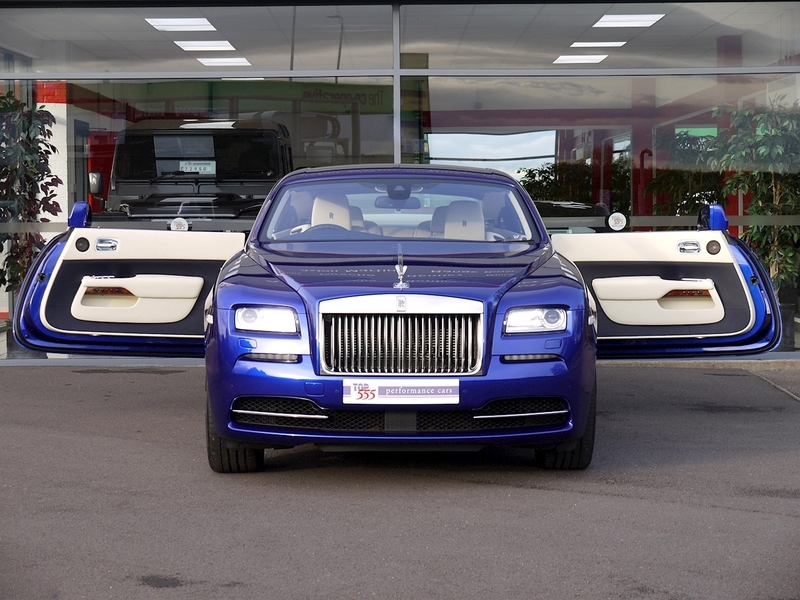 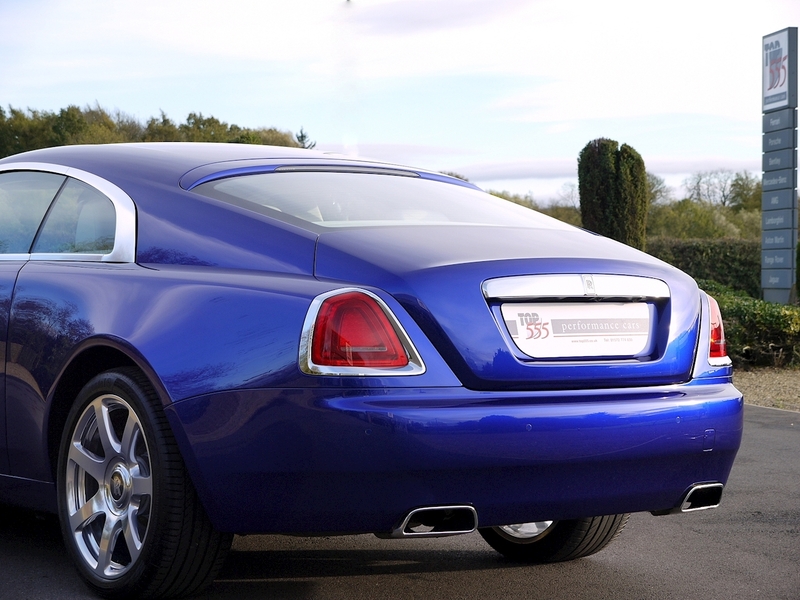 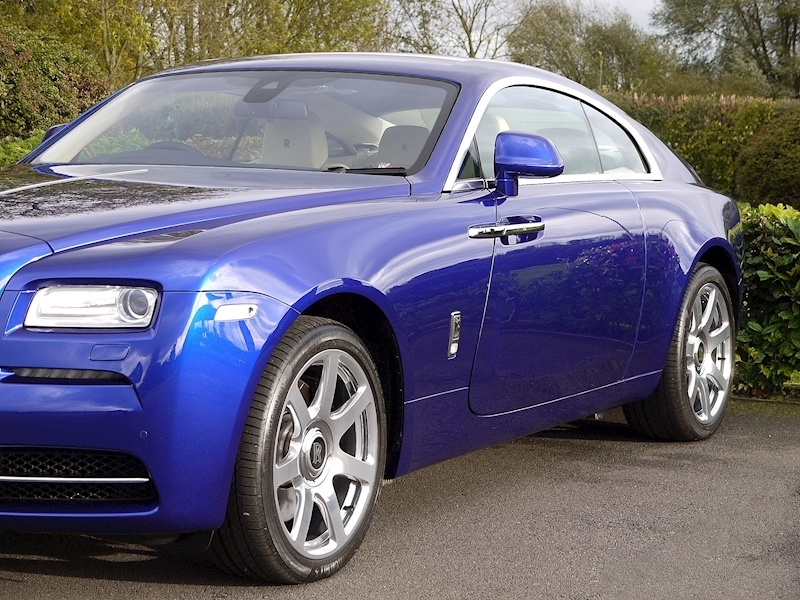 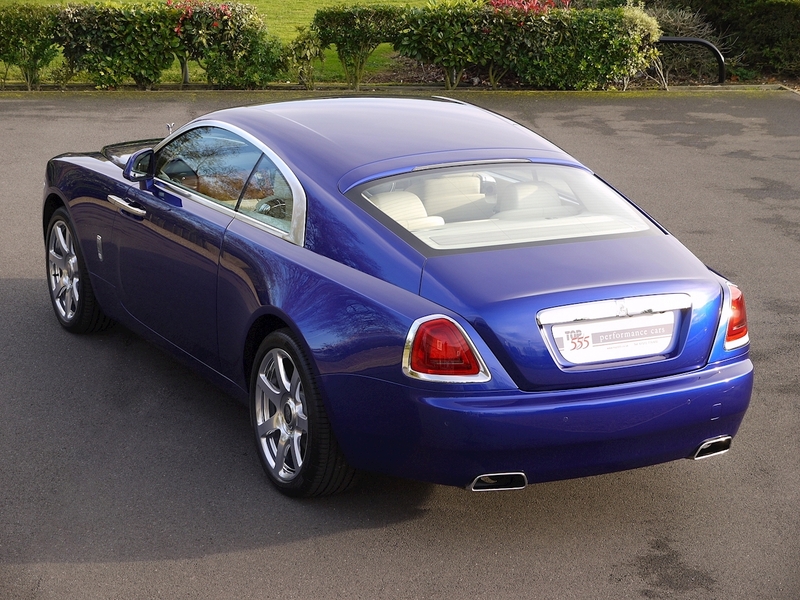 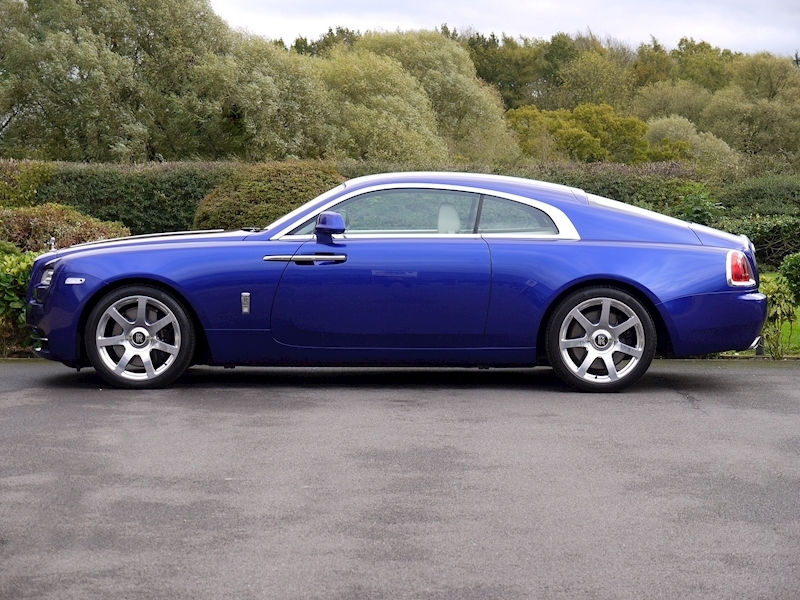 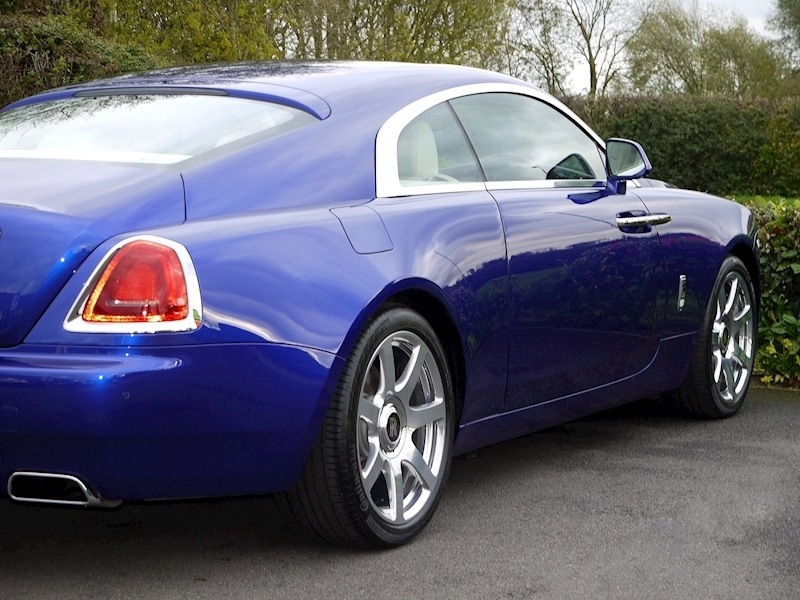 'WRAITH PACKAGE' Includes the Following Items - 21" Seven Spoke Fully Polished Alloy Wheels, Starlight Headlining Upgrade, Camera System with Rear, Side and Top View, Rolls-Royce Bespoke Audio System, Comfort Entry System, Rolls-Royce Monograms in Navy Blue to Headrests, Drivers Assistance Systems 3 Consisting of Head-up Display, High Beam Assistance, Lane Departure Warning, Night Vision and Active Cruise Control. 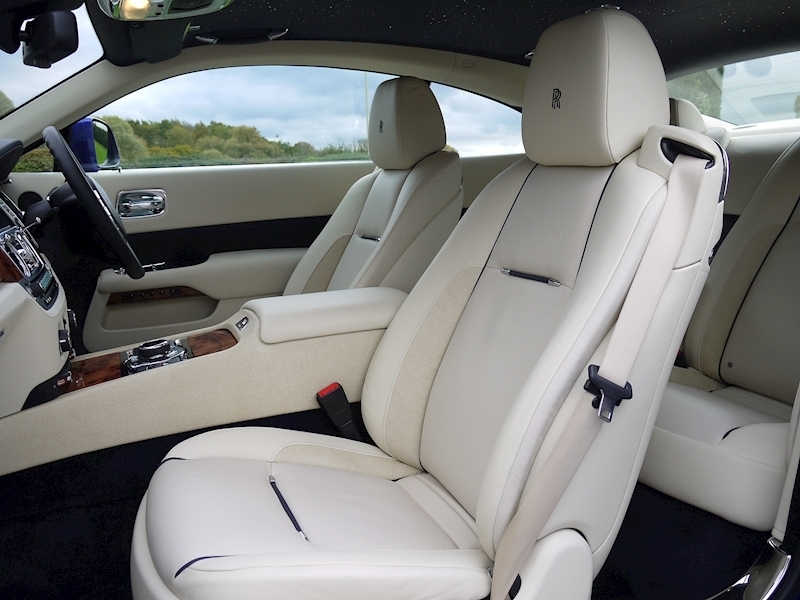 Front Massage Seats. 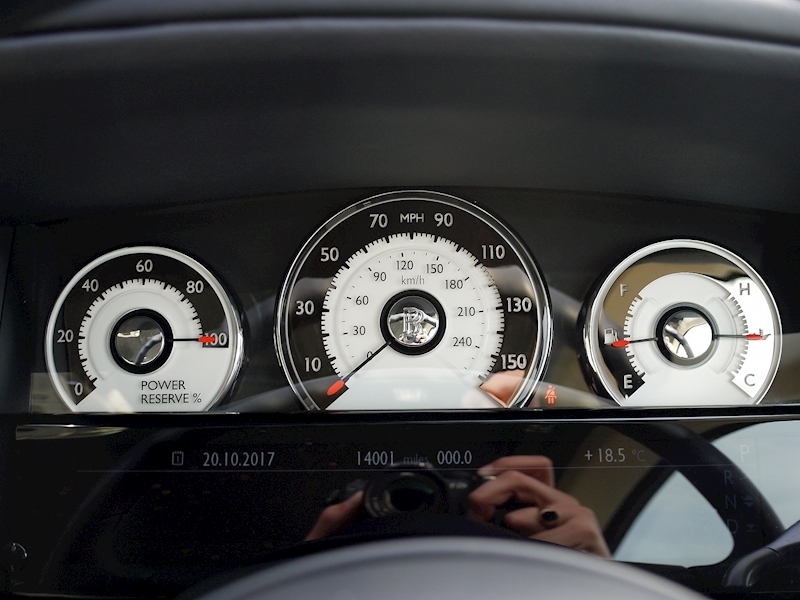 TV Tuner. 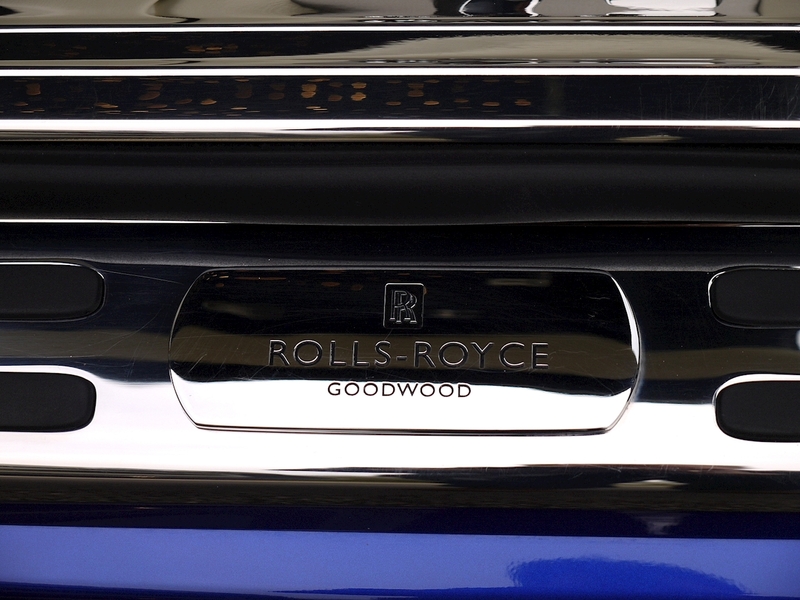 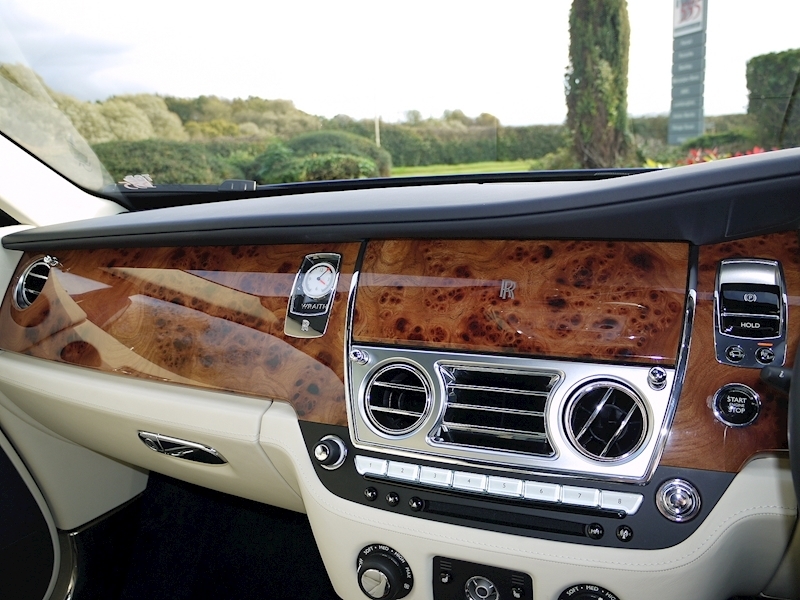 Treadplates "Rolls-Royce Goodwood". Seat Piping in Navy Blue. 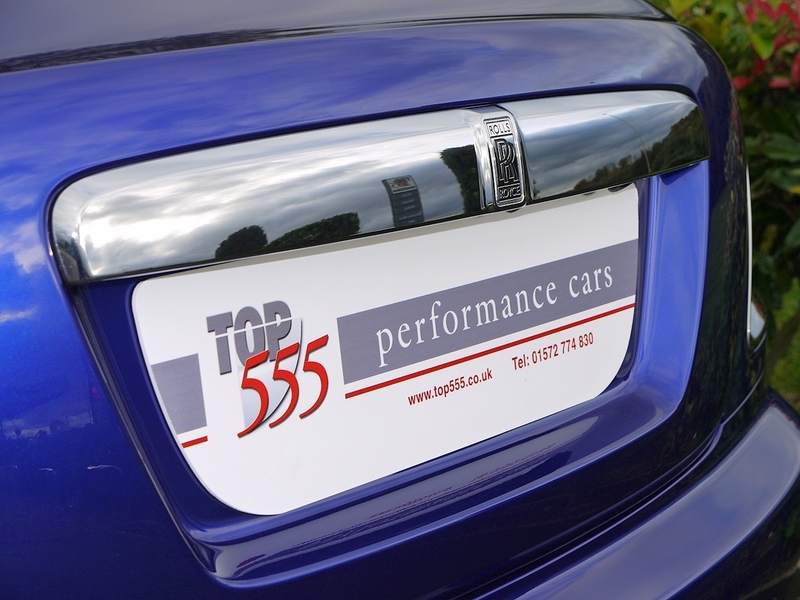 Silver RR Inlay for Monitor Cover. 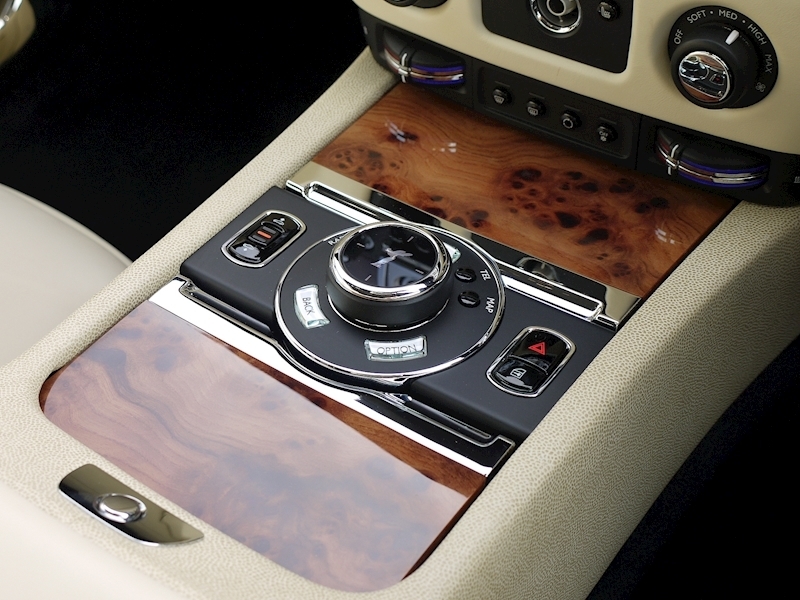 Elm Cluster Veneer. 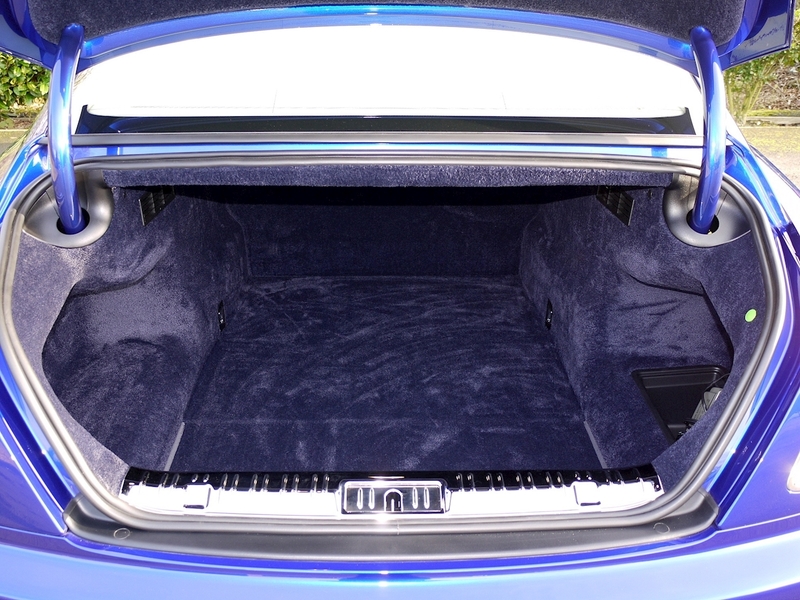 Lambswool Floor Mats. 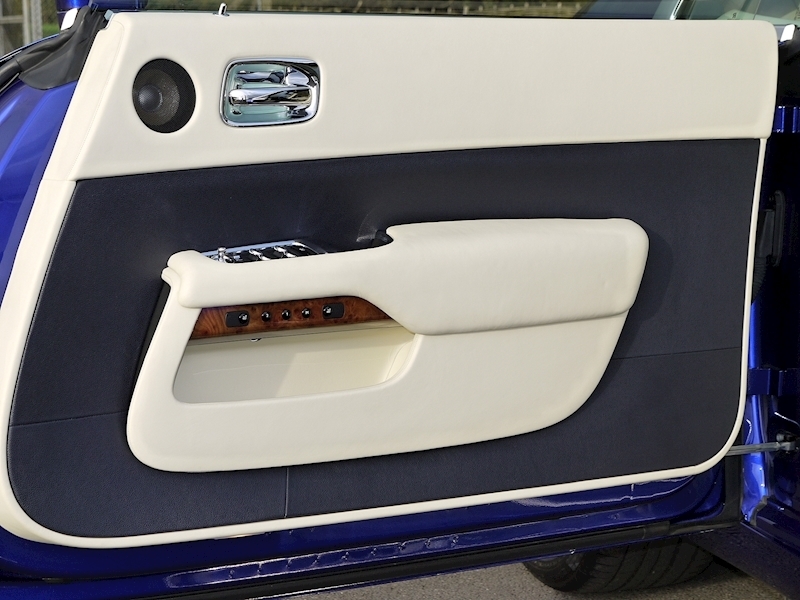 Navy Blue Boot Trim. 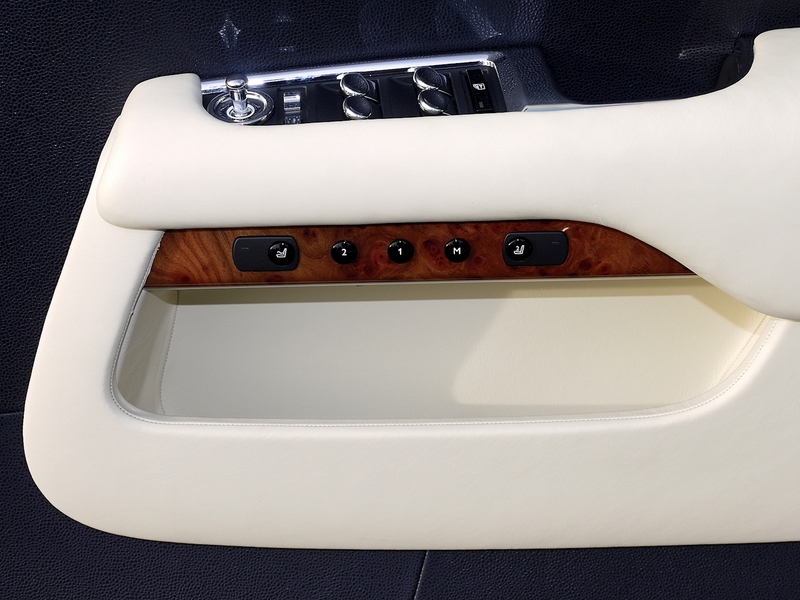 Anti-theft System. 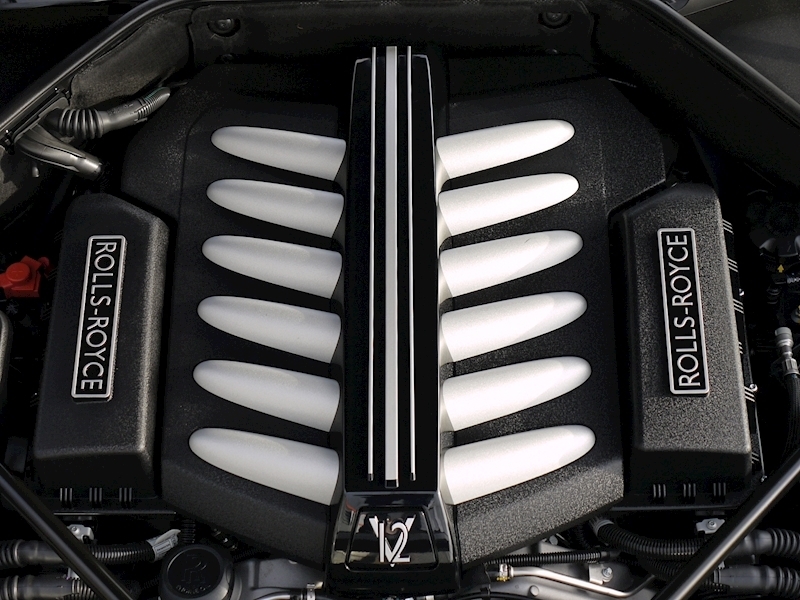 Rolls-Royce Battery Conditioner. 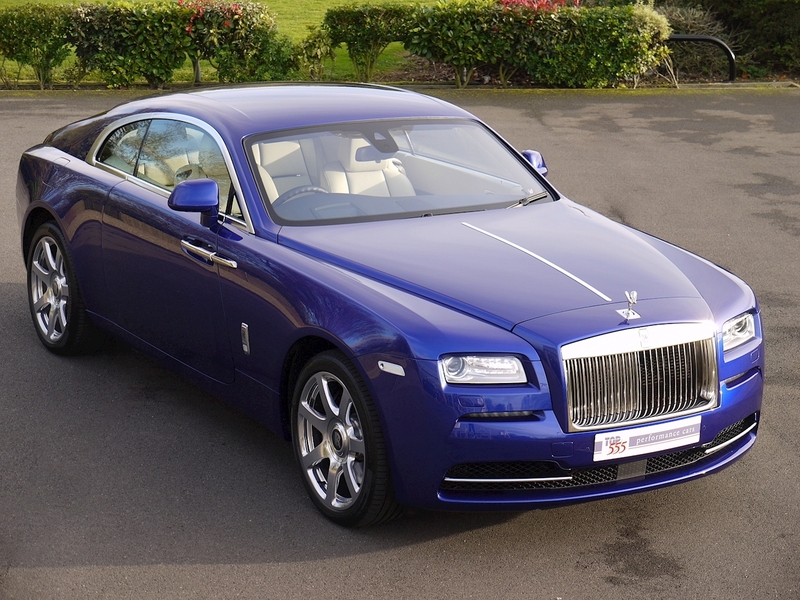 Serviced on 15th September 2015 by Rybrook Rolls-Royce Birmingham at 7,457 miles. Serviced on 25th September 2017 by Rybrook Rolls-Royce Birmingham at 13,981 miles. A Cherished and Original Car. Cost £274k New!